This weekend, give some love and art at these community events! Spend the day with Mighty4 for cards and coffee! 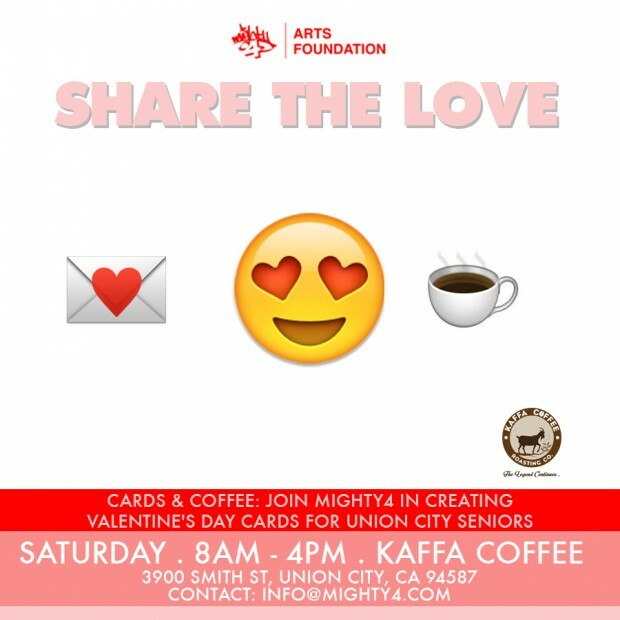 We’ll be at Kaffa Coffee Roasting Co. to make thoughtful, handmade cards for seniors at Pacifica Senior Living this Valentine’s Day. Join us for some art activities, and stick around for the weekly farmers market across the street! Also this weekend, our friends at Keep it Flowing Media and Diverse A.R.T. 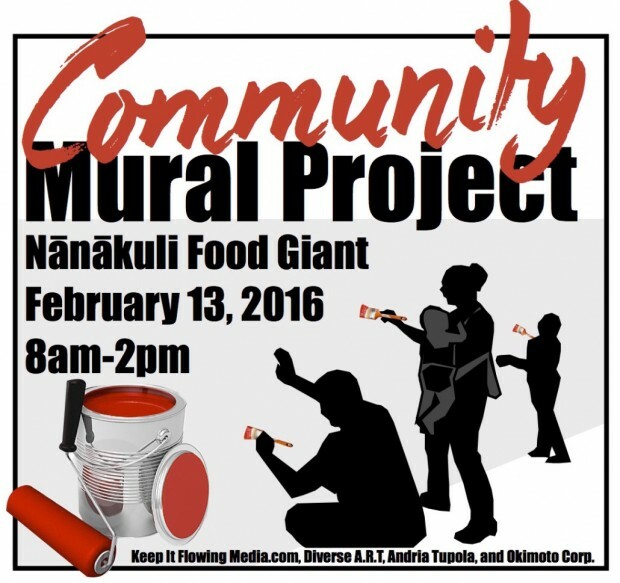 will be starting their Nānākuli Community Mural Project on the island of Oahu, along with the Okimoto Corporation, District 43 Representative Andria Tupola and the Nānākuli Community. Be sure to follow their work and support their cause!